We have news of more appearances added to Kate’s calendar, they come after Thursday’sÂ Diamond Jubilee tour kickoff, when the Duchess joins the Queen and Prince Philip in Leicester. The Duchess will present shamrocks to the Irish Guards and their mascot, Conmael, an Irish Wolfhound, at a St Patrickâ€™s Day parade at Mons Barracks. St Jamesâ€™s Palace said it would be the start of a long relationship between the Duchess and the Irish Guards. 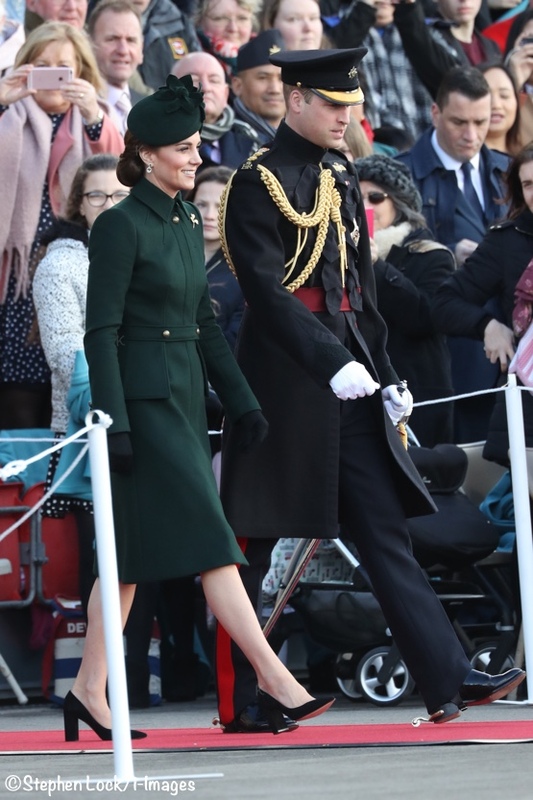 Some may recall William was appointed Colonel of the Irish Guards last February, Kate and William visited the regiment last June, on Armed Forces Day. There are at least two frocks we know about already in Kate’s closet that she could elect to wear St. Patrick’s Day, both are green, both have been previously worn. 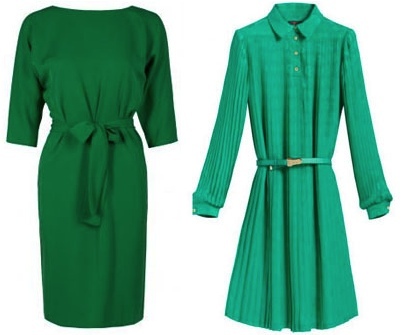 On the left we see Diane von Furstenberg’s green silk Maja dress, worn on the North American tour and to Zara Phillip’s wedding, on the right, the Mulberry Shirt Dress in ‘cabbage’ worn in November at a Buckingham Palace media reception. 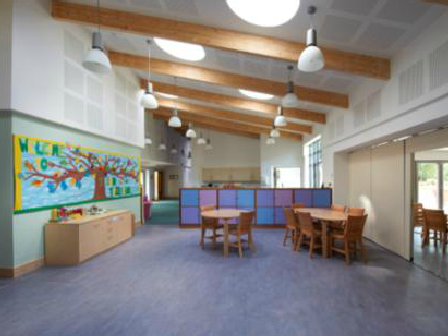 The Duchess will tour the facilities including the sensory room and music room, and meet children and their families who receive care and support from the hospice service, as well as staff and supporters. The group has been fundraising and building the new facility for some time, below we share The Treehouse page from the EACH website. A spokesman for the Duchess said: â€œShe wanted her first speech to be on a topic she herself is affiliated to and which she is passionate about. There are wonderful photos of the Treehouse unit on the site, showing the building progress as well as interior shots. 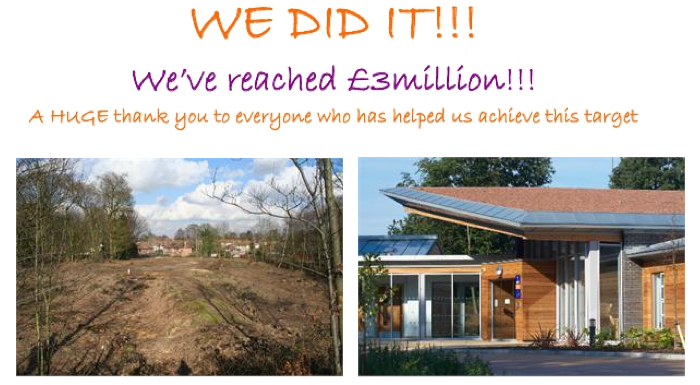 But once the celebrations have ended, EACH will continue to need funds to operate the The Treehouse. You can learn more about those needs, or see ways you can help the organization by clicking here. Or, you can shop and donate at the same time via the EACH e-commerce site, offering goodies like this Coloring book. 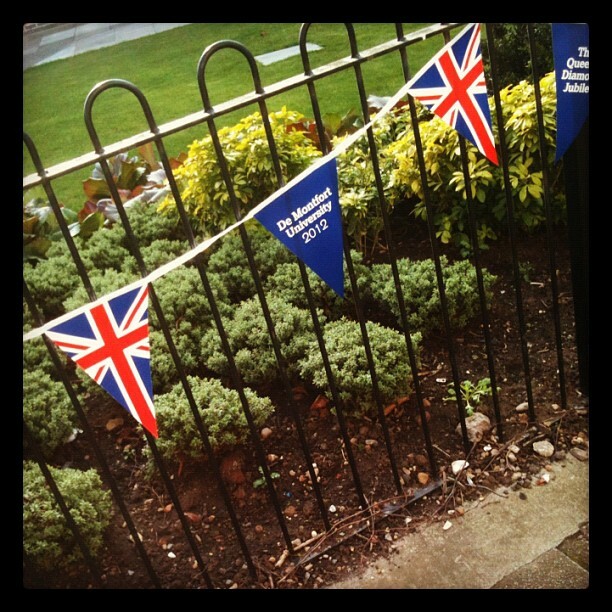 More now on this Thursday’s events and the kickoff of the Queen’s Diamond Jubilee tour. 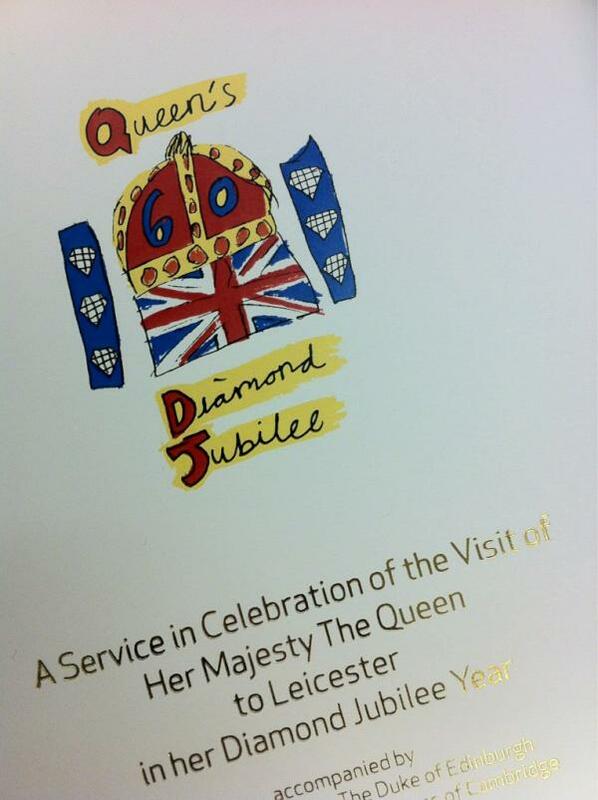 HM, Prince Philip and Kate will travel by train to Leicester, they will visit De Montfort University in the morning. 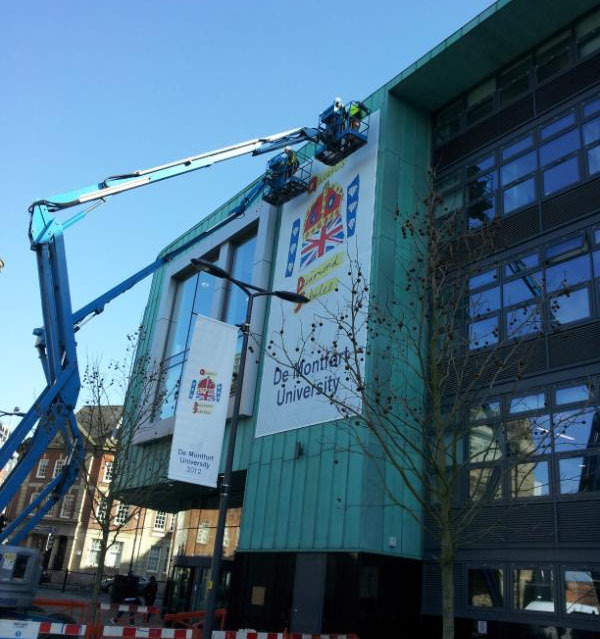 Preparations for Thursday’s historic visit are well underway, banners are going up on buildings. Here is a loose rundown for other events via the BBC. The tour will begin at De Montfort University with a performance by students and community groups celebrating the city’s diversity in Magazine Square. The Queen and duchess will then watch a fashion show by students, while the duke meets representatives of the university’s Square Mile initiative, which helps local community projects. Practices and rehearsals have been underway for days. This is Leicester report reports there will be plenty of music. 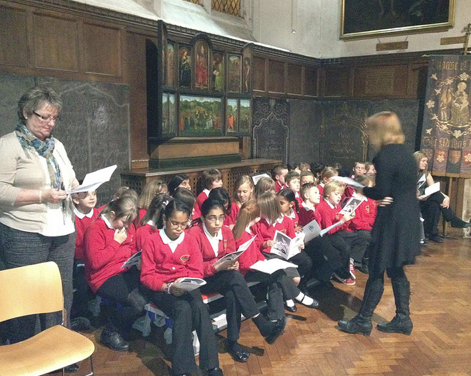 Singers aged from eight years will be performing some of the monarch’s favourite music from the past 10 years when she visits the cathedral on Thursday. The service sounds like it will be magnificent: trumpet players will welcome people to the service, 40 children will sing “Jubilate,” and there will also be a prayer sung in Urdu while dancers perform. 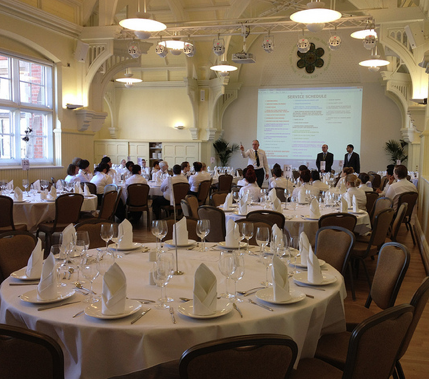 Following the church service the action moves to St. Martins House for lunch. Young waiters and waitresses have been busy rehearsing service techniques. The Leicester Mercury spoke with a young lady named Felicity, she will be serving Kate’s table. “I’ve never served anyone famous before. When they asked for five people to serve the main table, I put my hand straight up. After lunch the group will watch a performance marking the Holi Festival, a Hindu celebration of spring’s impending arrival and unveil a plaque commemorating the visit. To see more photos of preparations at the Cathedral and St. Martins House, click here for the Diocese of Leicester’s Flickr feed, or follow their Twitter feed here, click here for the Diamond Jubilee page. You can follow De Montfort University’s Twitter feed here, their Art & Design feed here, the Leicester Mercury newspaper site is here, and its Twitter feed here. 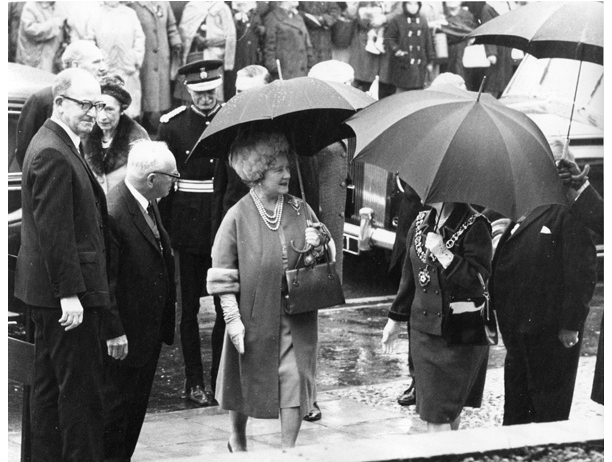 This is not the first Royal visit to the University, below we see The Queen Mother in 1966. No will Thursday’s fashion show be the first watched by members of the Royal Family, another photo shows models from the 1966 fashion show. 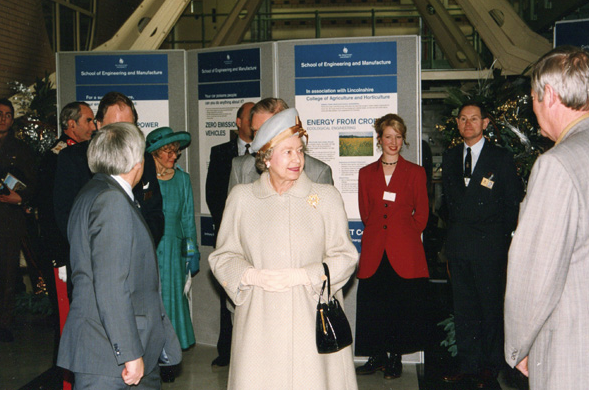 Queen Elizabeth was also on campus for a visit, this one was in December of 1993. 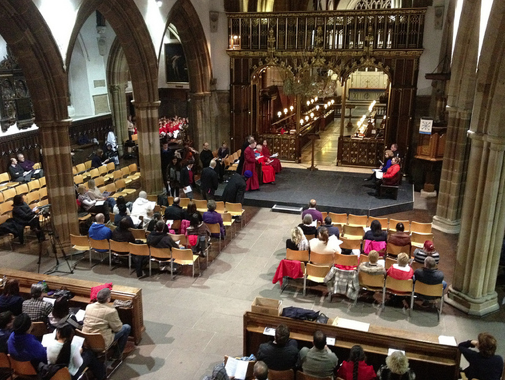 To read more about previous Royal visits to DMU, click here. 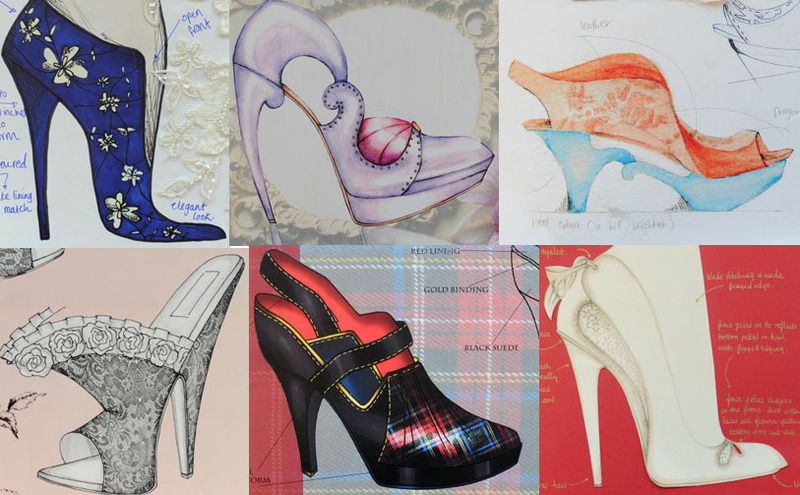 A reminder, don’t forget to vote for your favorite in the student shoe design competition, things have tightened up and two designs seem to be breaking away from the other four. 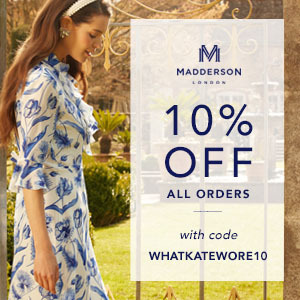 We’ll be closing the poll at midnight Wednesday, well before Kate picks the design she likes best while in Leicester on Thursday. It will be fun to see which she chooses and then see it again when it has been manufactured and she wears the shoes. 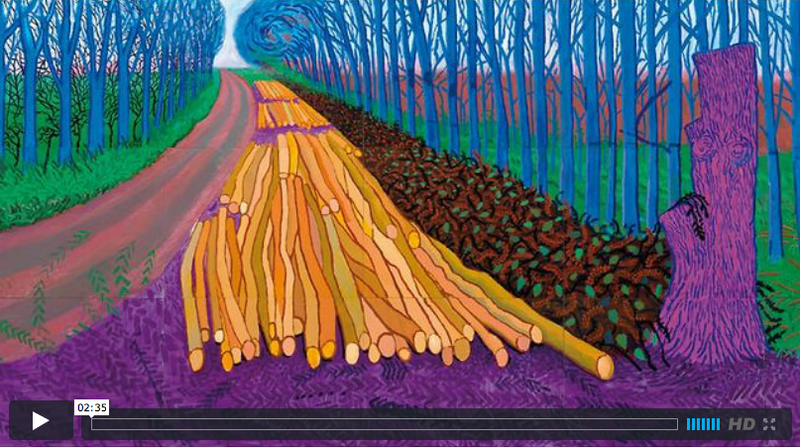 Kate paid a private visit to David Hockneyâ€™s show across the road at the Royal Academy. Below, a short video about the show. 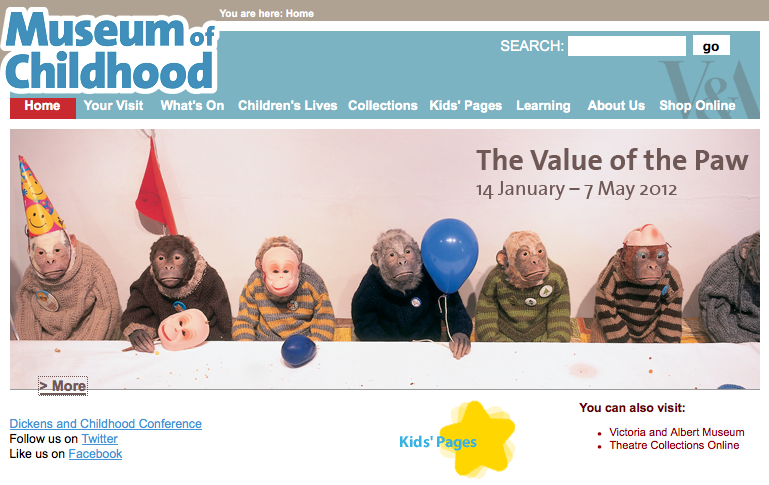 You can learn more about the Academy and the Hockney show by clicking here. 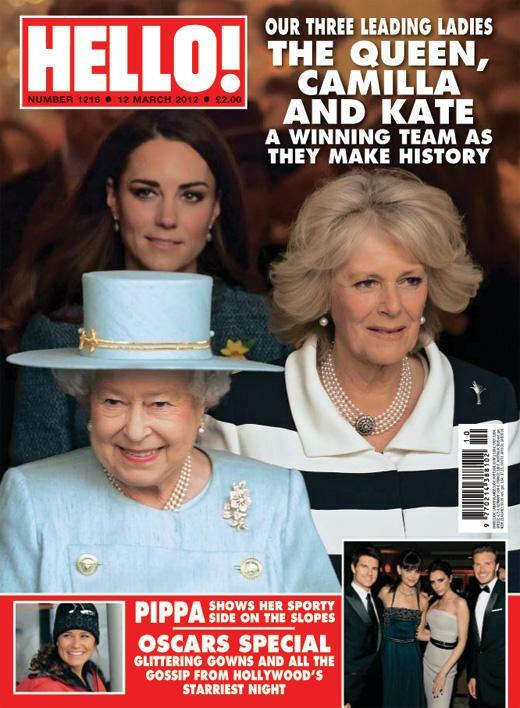 We leave you with the cover of this week’s Hello! magazine, the wonderful photo of the Queen, Camilla and Kate wrapping up their tour at Fortnum’s last Thursday is by photographer Niraj Tanna. 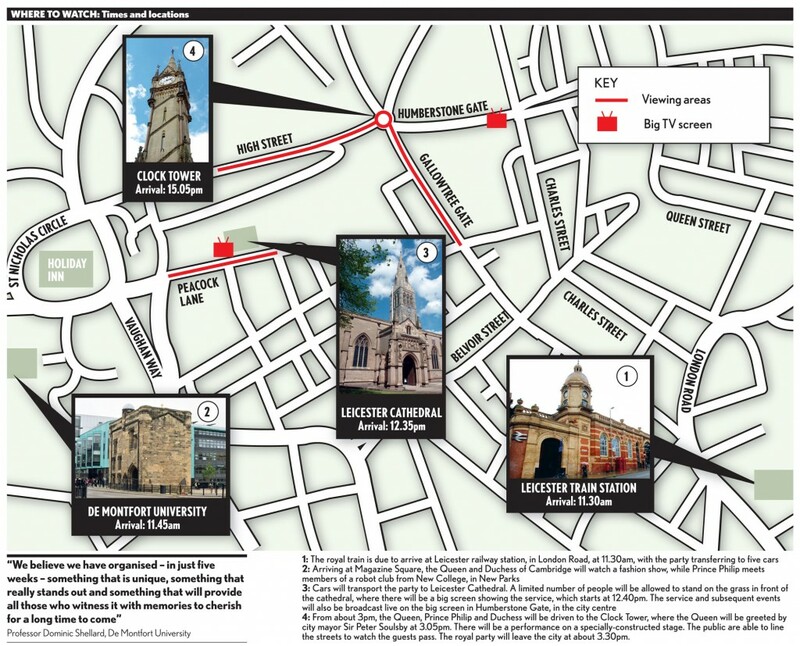 The Leicester Mercury has published a map showing routes and times, click here to see it in a larger format.